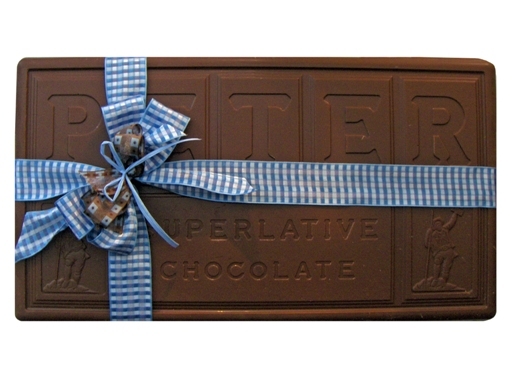 Here's a block of the smoothest, creamiest, yummiest, milk or dark chocolate. It's a gift for someone who has everything. The bar is packaged in a clear bag with a big bow. Gift wrap is not available for this item.